Aquila - Shenzhen Yu Long Yun Electronics Co., Ltd.
● Dop64 and Dop128 supported through SPDIF, Optical and AES. 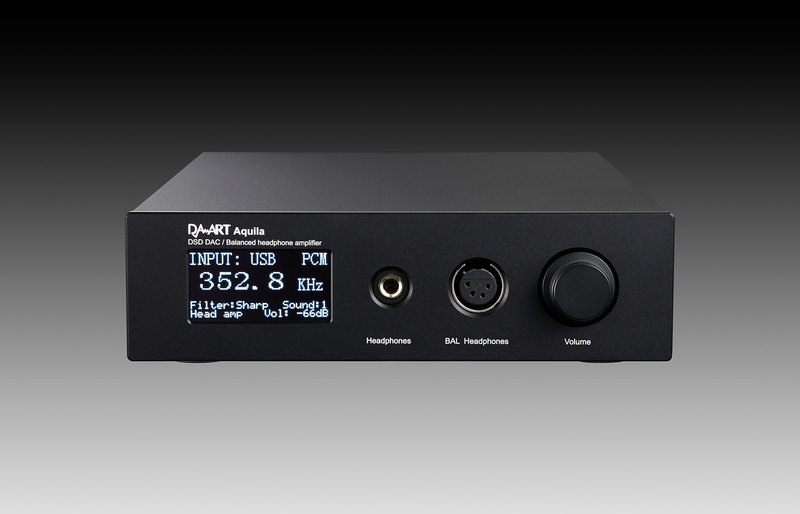 ● PCM 24bit 384KHz supported through SPDIF, Optical and AES. ● DoP64, DoP128,Native DSD64, 128, 256, and PCM 16-32bit, 32-384 KHz are supported via USB. ● Fully balanced decoder topology. ● Fully balanced high current preamplifier. ● AK4497 DAC with low noise regulator at reference voltage and analogue supply. ● OPA1611 with ultralow distortion for LPF and high current OPA1688 for output buffer. ● Highly user customizable digital filter. ● 99 steps volume control to pair with headphones in different impedance and sensitivity. ● Elegant front panel and aluminum housing. Unique claw-style suspension feet. ● Universal 110-240V mains power. It has been many years since the AKM DAC solutions were researched by Yulong team, whose in-depth knowledge about the AK44xx gained through the journey of countless prototypes, experiments and fine tuning, had contributed to the success of our very popular products such as the U200, ADA1 and the highly acclaimed DA9. As usual we did not stop; a DAC/Headamp/Preamp with highcost-performance ratio was in mind and rigorous R&D has been done to bring you this brand new all-in-one desktop product Aquila. 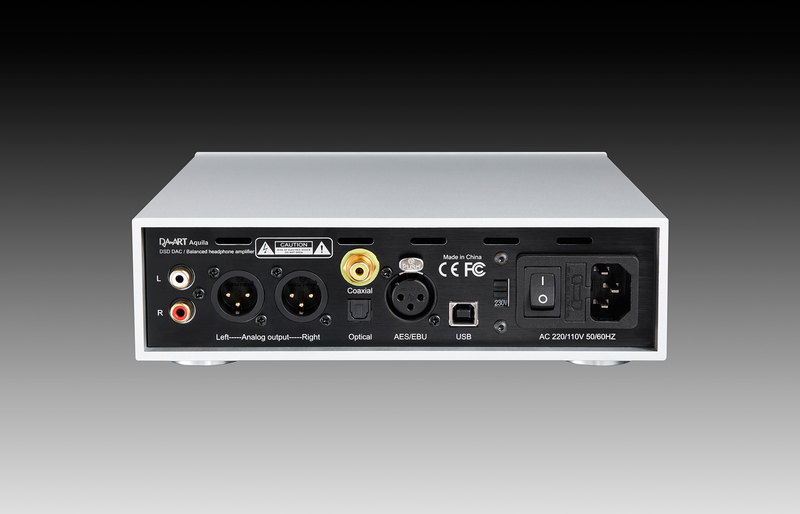 All of its inputs namely USB, S/PDIF and Toslink all support DSDDoP128 and PCM384K formats. Small foot print, full featured IOs and functions combined with superior technical and acoustical performance make it an excellent part of your headphone or speaker Hi-Fi system. Digital process is deployed with a SA8804, which supports DoP64, DoP128,PCM 24bit 384KHz through SPDIF and features ultra-low Jitter precision PLL clocking. 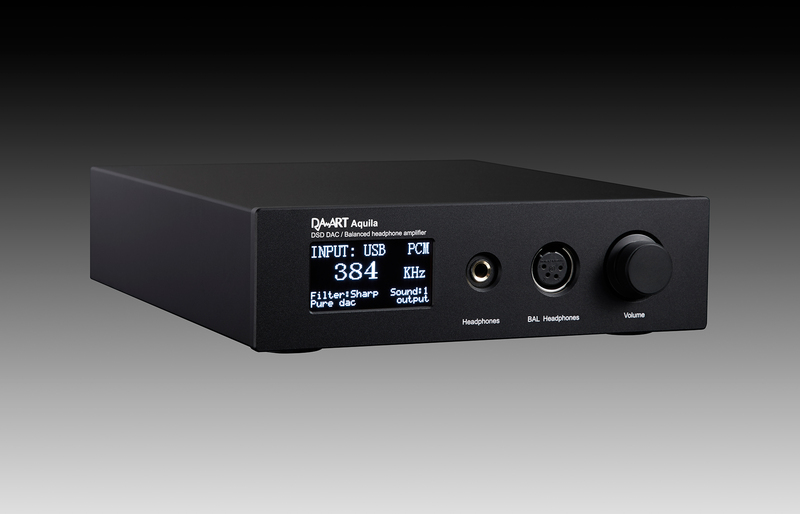 The de-jittered and precision clocked digital signal is then fedinto AK4497 with ultra low noise regulator for its analogue power supply and V_ref. Ultra low distortion OPAMP OPA1611 and OPA1688 are used in the LPF stage, and followed by a high current low distortion OPA1688 output buffer. 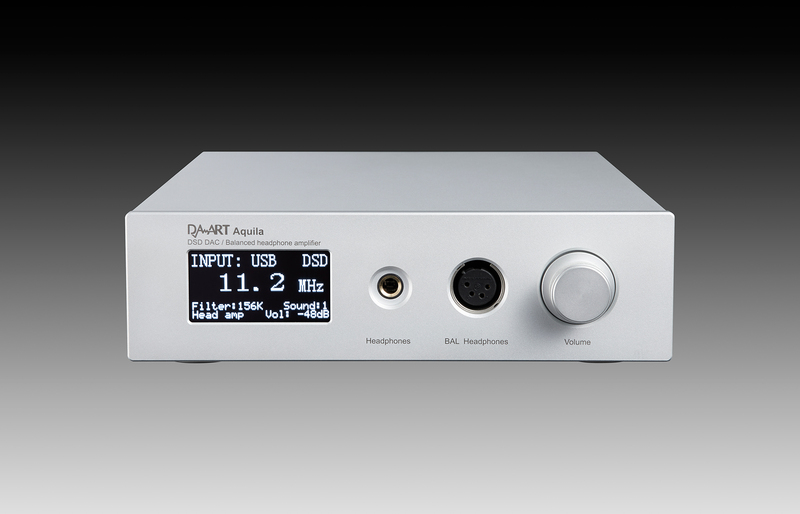 The preamp and headphone level is controlled by PGA2311. 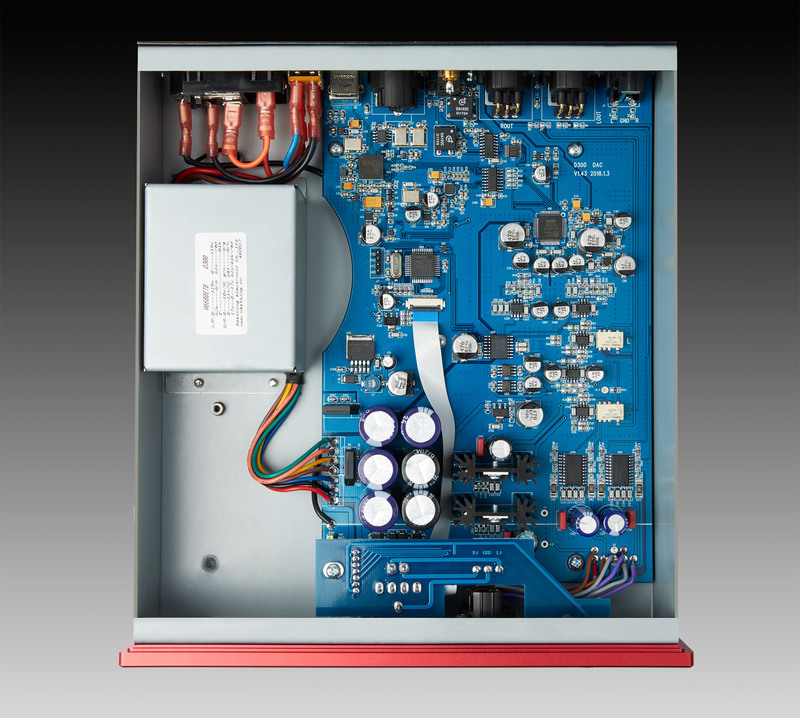 The shielded, high quality custom made main transformer has a unique character of an isolator, which filters out high frequency noises from the mains power lines and guarantees performance under all power conditionsincluding heavy interference. Outstanding S/N ratio and distortion performance evidences the sophisticated design and layout applications. USB input is carefully implemented on XMOS U8 and it's built in switching power supply is disabled and replaced by a dedicated linear low noise power supply. A precise and low phase noise clock feeds the XMOS has its own regulated power. 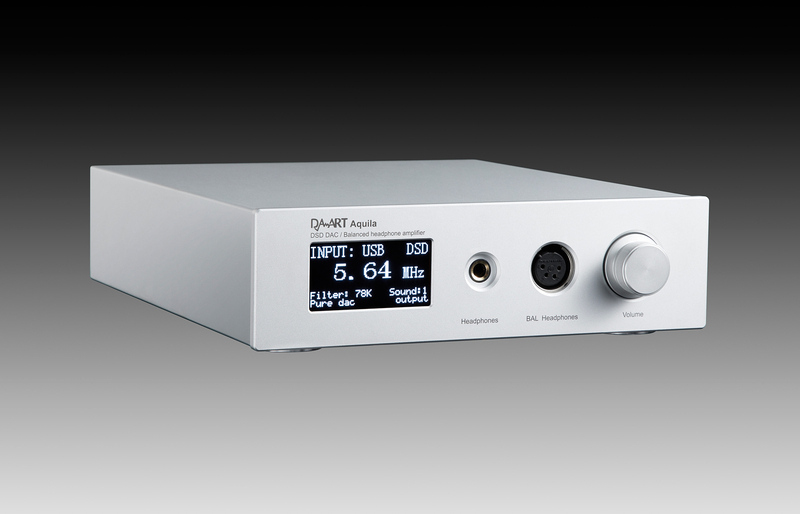 DSD256 is supported via USB by customized Thyscon driver which is well known for sound quality and stability. 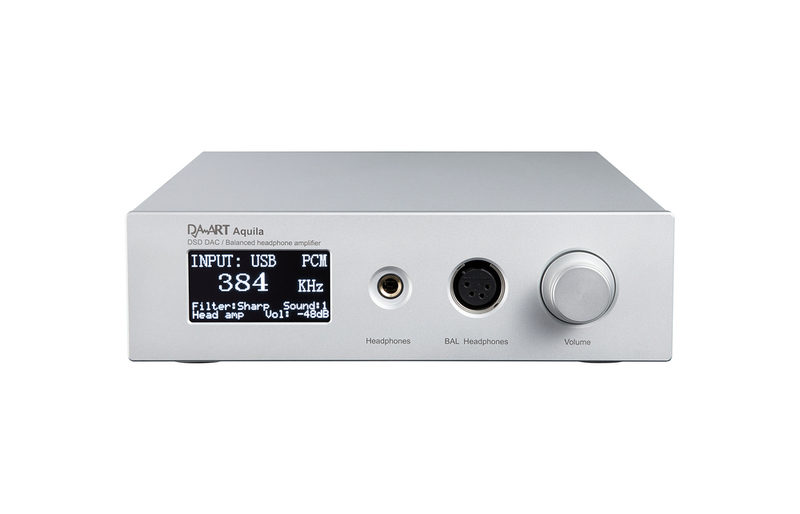 The headphone amp was carefully designed with TPA6120 for superior driving capacity and natural sounding. Unique sound modes are selectable to fit your taste of listening. Mode 1 is balanced; and mode 2 is delicate and firm which might be preferred for classical music; mode 3 is laid back with stronger voice presence which might be beneficial to jazz vocal and similar. Working together with 3 filter modes, you might find lots of interesting combinations to bring your favorite music to a brand new level of enjoyment. DAART is well known for the effort in fine tuning the sound. Agroup of experienced users include audiophiles, electronic and acoustic engineers and recording/mastering studio engineers spent their time in listening and benchmarking in very different environment and equipment and collaborate in he development, guarantees that Aquila not only measures exceptional but also sounds stunning. You will appreciate the craftsmanship and details such as seamless aluminum housing, composite tiger claw suspension feet and fine knurled knob. 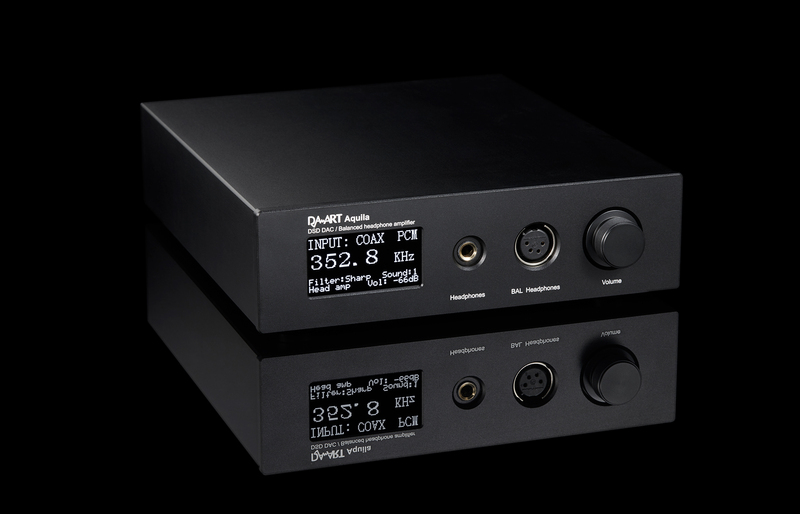 ● DoP64 and DoP128 support over SPDIF/Optical/AES. ● PCM 24bit 384KHz over SPDIF/Optical/AES. 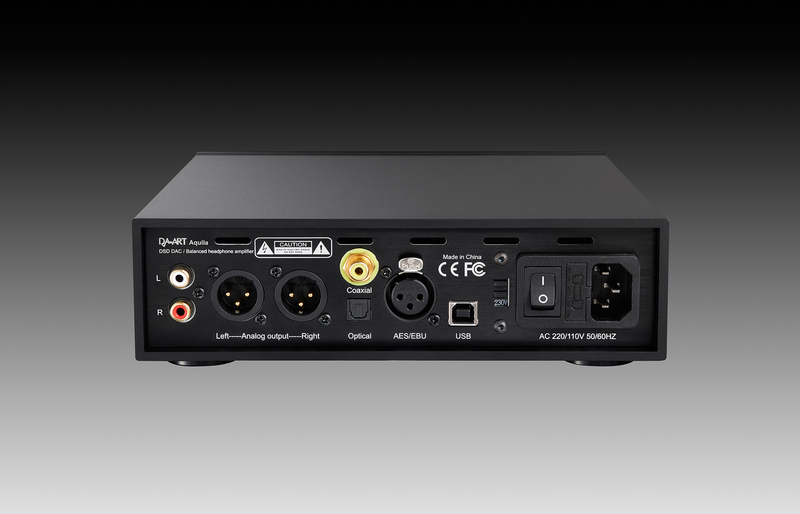 ● DoP64, DoP128, Native DSD64/128/256 and PCM 16-32bit, 32-384KHz over USB. ● Balanced Output level: 4.2V. 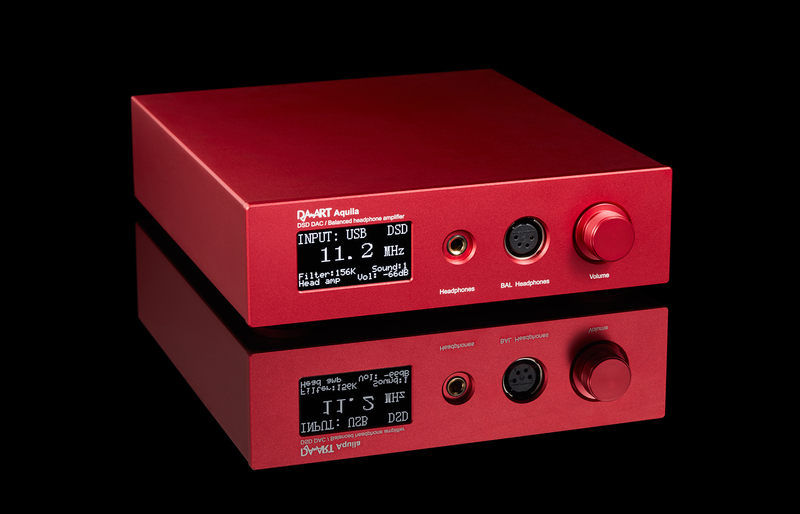 ● Single-ended headphone amp: 100mW @ 600ohm, 180mW @ 300ohm 350mW @150 ohm, and 1W @ 32 ohm. ● Balanced head phone amp: 200mW @600ohm, 360mW @ 300 ohm, 700mW @ 150 ohm, and 1.5W @ 32 ohm. 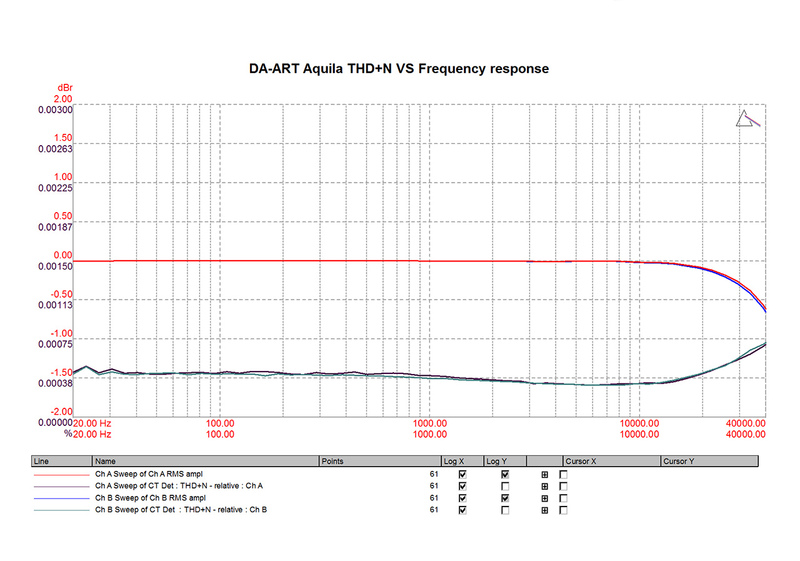 ● Headphone amp THD+N Less than0.001% at full level.